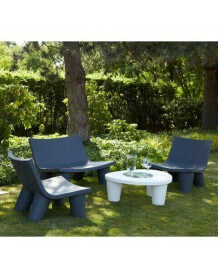 ULM contemporary outdoor lounge by Vondom that includes a sofa, two armchairs and a design coffee table. 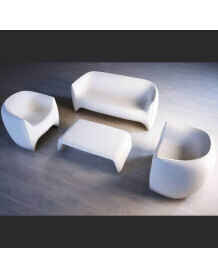 The cushions are included and intended for an outside use. 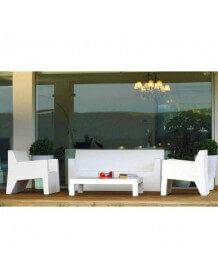 A classy, elegant and timeless garden set. Manufactured on demand, 30 days delay, can not be returned or exchanged.